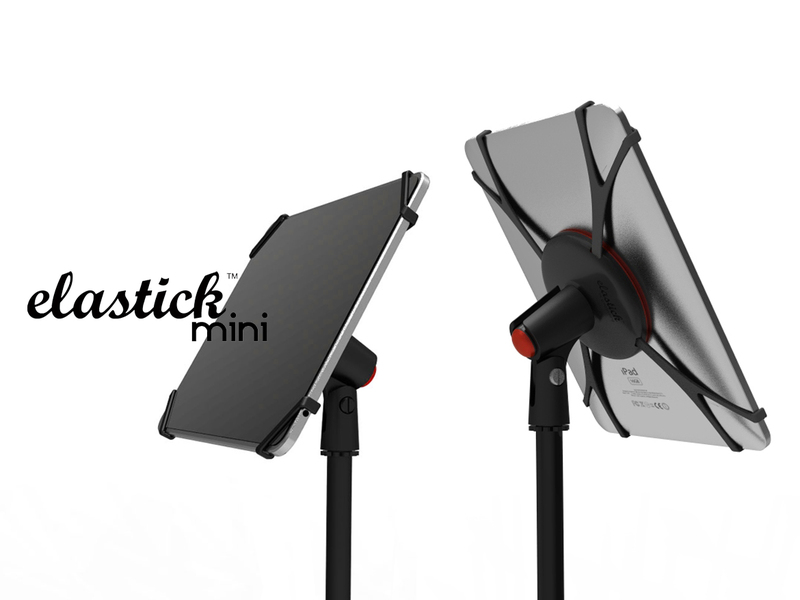 ELASTICK mini - a portable pc, tablet pc, and electronic device stand for standard microphone clips & horizontal surfaces. hello & thanks for checking out our project! as you can see there's been an evolution! 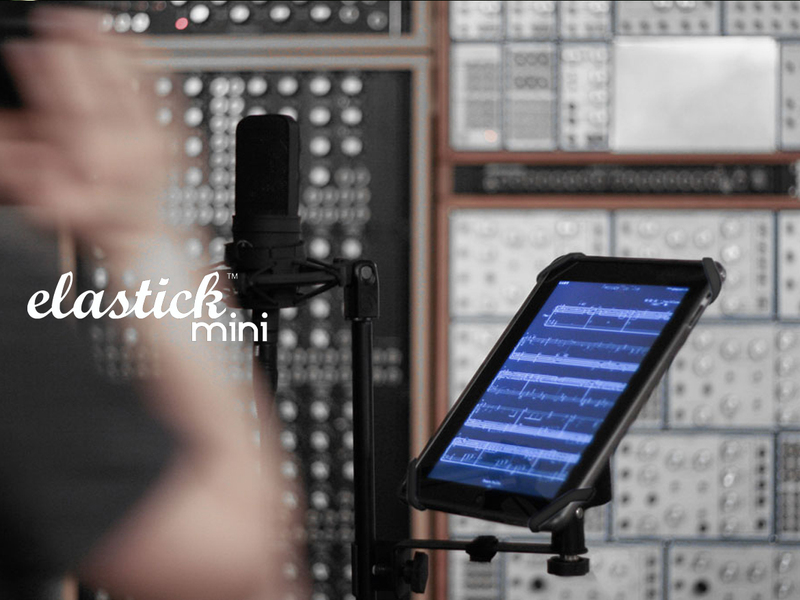 introducing ELASTICK mini. for details on our original designs and a history of the project, take a look at our updates page. 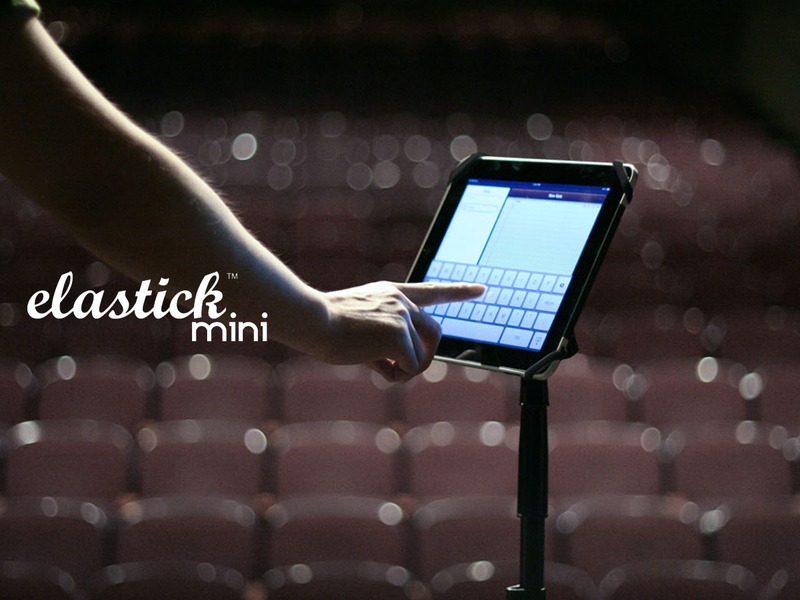 our goal is to make ELASTICK mini a reality and get it on as many desktops, stages, and in as many microphone stands worldwide as possible. 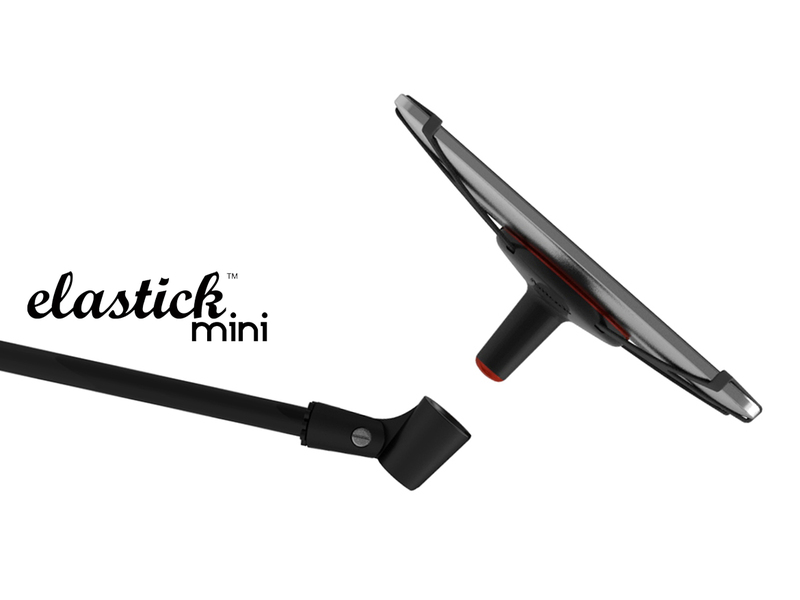 ELASTICK mini is a patent pending design that holds any tablet pad, onto a standard microphone clip for floor-standing use as well on tabletop surface. our entire team currently or at some point of their lives have played various instruments either individually, in a band or in concert settings and cannot live without a daily jam to bring back the power of a few good feelings. with tablet computers playing an increasingly larger role in performances it is foreseeable these devices will become more integrated in modern musician's workflow. 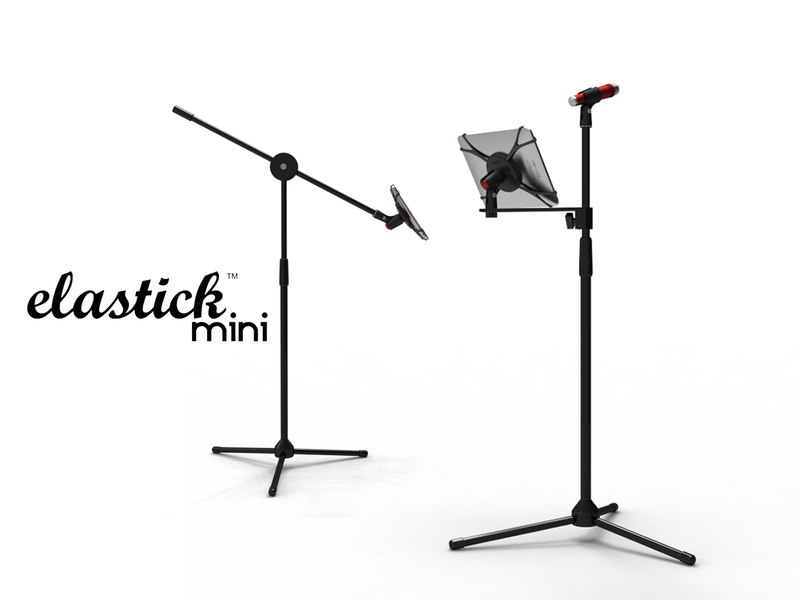 going from the stage, the showroom, the office, even to the bedroom, ELASTICK mini is compact, portable and usable in any environment. it comes in black abs plastic with black silicon straps, tip & cap. extra black or red strap+tip+cap packs can also be ordered separately. 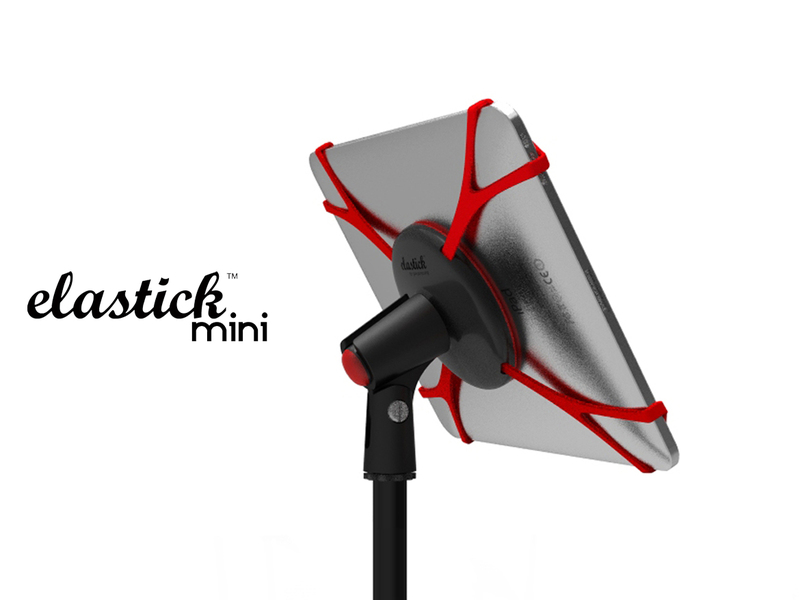 ELASTICK mini is designed to support most of current and future tablet pad devices as well as some music equipment and even a clipboard. 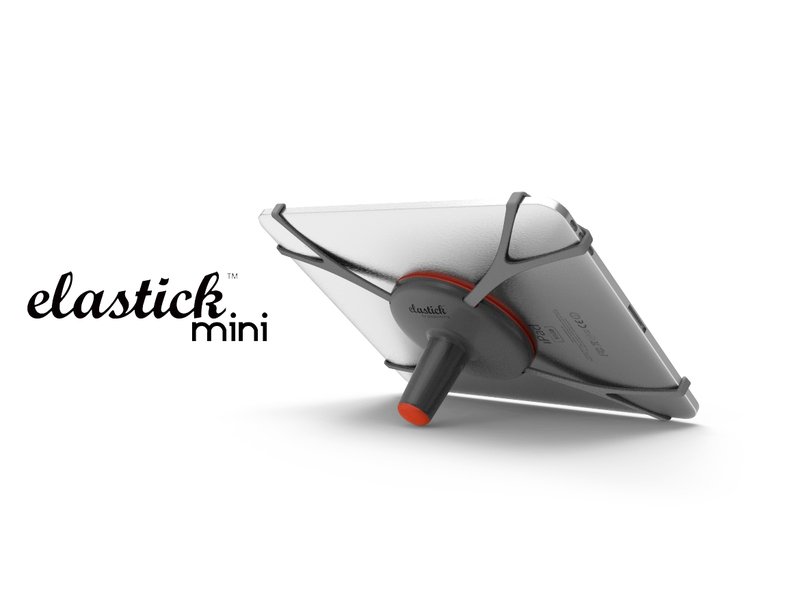 with your support we are targeting to have the ELASTICK mini shipping by november & we hope you are inspired and excited and choose to support the project. we hope you will spread the word and share with your friends all over the globe as everyone loves music in some form or another. 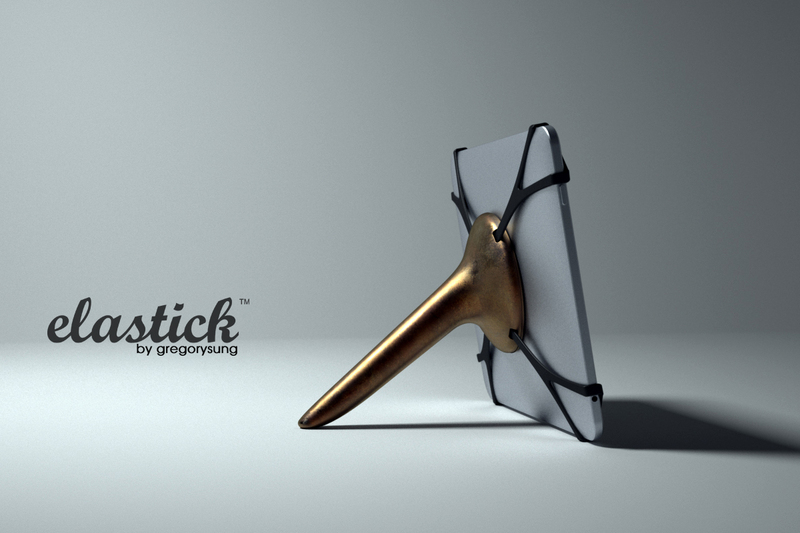 in addition we are still offering an edition of the original ELASTICK design in an 10+ap signed and numbered bronze edition - a true collector's piece. note: all IPAD, mic, mic stands, clips & devices shown above are not included. IPAD is a registered trademarks of APPLE. APPLE IPAD. all your donations count. if your contribution is used you will be able to buy ELASTICK online or hopefully someday, if successful, at an APPLE store. joining in to make a cool product that no one else would take the risk on is it 's own reward and we are happy to put it to good use getting this project out the door.